The global grounding of Boeing’s 737 MAX planes — as a response to an Ethiopian Airlines 737 MAX 8 flight crash — is slated to delay SilkAir’s long-term strategic plans, which include the delivery of MAX 8 orders from Boeing and the operation of only MAX planes after the retirement of its existing Airbus fleet and three 737-800 planes, according to a report by CGS-CIMB. The report further revealed that SilkAir has 31 more orders for the planes which will be delivered over the next five years. Seven are expected to be delivered in 2019, whilst another six are slated for 2020-2023. “Boeing plans to install a software update in April, which then needs to be tested. This means that the grounding of the model will not be lifted until at least May, if not later,” CGS-CIMB’s analyst Raymond Yap added. Prior to the grounding on 12 March, SilkAir operated 64 flights per week using 737 MAX 8 planes to 12 destinations, including India (Bangalore and Hyderabad), China (Chongqing and Wuhan), Thailand (Phuket), Australia (Cairns and Darwin), Nepal (Kathmandu), Malaysia (Kuala Lumpur and Penang), Cambodia (Phnom Penh) and Japan (Hiroshima). 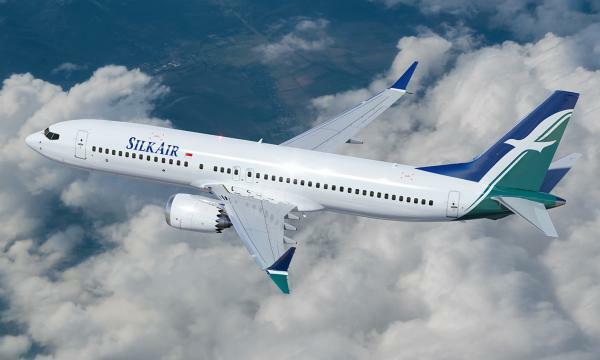 SilkAir announced changes to its schedule for 16-30 March following the global grounding of the 737 MAX 8 planes, which included cancelling a number of flights to Kuala Lumpur in order to reallocate the 737-800 planes from the city to replace the 737 MAX 8 flights on other destinations. 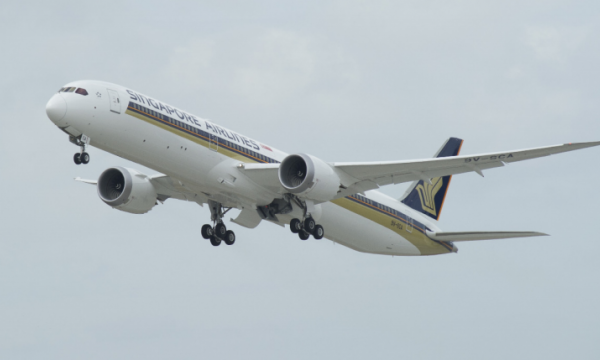 However, the airline announced that the SIA mainline will deploy one replacement A350-900 flight at 12.50 p.m. with a larger capacity of 253 seats. Additionally, SilkAir announced its plans to retrofit its MAX planes with lie-flat business class seats and seatback In-Flight Entertainment (IFE) in order to offer a comparable product with SIA mainline, upon which SilkAir will be formally merged with its parent company into one SIA brand. “It may be possible for SilkAir to claim compensation from Boeing for the MAX groundings, either in the form of a direct cash transfer or discounts on future aircraft deliveries,” Yap noted. According to the report, only SIA and SilkAir’s seat capacity to Kuala Lumpur, Hyderabad, and Wuhan can expect to see mid-teens percentage declines at 10%, 14%, and 13% respectively, whilst Phuket may see a mid-single-digit percentage drop at 6%. “The net capacity reduction of 935 seats per week makes up only 1.5% of SilkAir’s total systemwide seat capacity of 61,842 seats per week, 0.3% of the combined SIA mainline and SilkAir’s systemwide seat capacity and even less if counting in Scoot’s seat capacity,” Yap said.